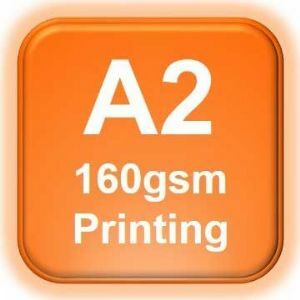 A2 Poster Printing (594 x 420mm) Colour Calibrated Poster Prints, Printed onto high quality 160gsm using the Oce Colorwave poster printer. These posters are ideal for Maps, Presentations, Artwork & Point of sale. These Posters are not Laminated. I have used A1 posters many times in last 3-4 years and I am very happy with their service. Their poster quality is excellent, cost is reasonable and turn around is quite fast with prompt delivery. I have no hesitation in recommending them.